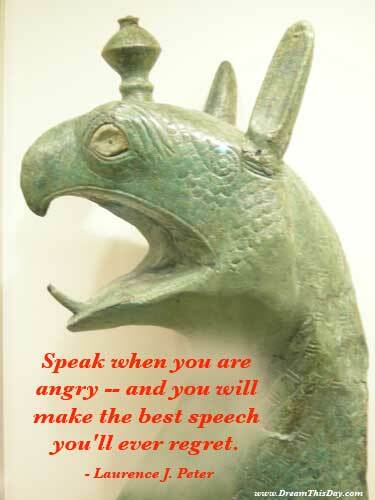 Speak when you are angry -- and you will make the best speech you'll ever regret. If you are patient in one moment of anger, you will escape a hundred days of sorrow. Anger is often more hurtful than the injury that caused it. For your own sake, as well as the sake of those you love, learn to live without anger. If nothing else works, seek out a professional to help with anger management.